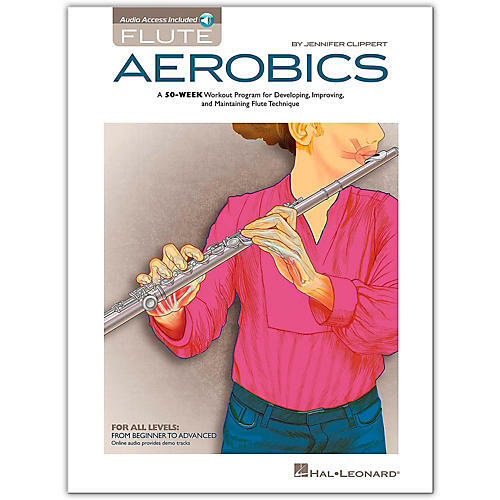 A 50-week workout program for developing, improving, and maintaining flute technique for all levels, beginners to advanced! In other words, you get one year of workouts with a two-week vacation! The online audio provides professional demo tracks of all the exercises. Techniques covered include: tone development, scales & arpeggios, finger mobility, articulation, flexibility, and intonation. The benefits of this program include facile technique, better intonation, improved tone, heightened rhythmic acuity, extended range, increased style vocabulary, improved ensemble playing, and more!